Hi and welcome! Thank you for visiting the website that is all about emotional well-being. 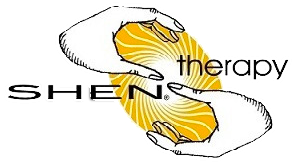 The aim of SHEN Therapy is to help you find better ways to cope with life, with stress and unwanted, painful, dis-empowering emotions the natural way. We will help you understand the value of your emotions and use them to move your life forward. All therapists are clinically trained to provide hands on help and support for emotional recovery, growth, and grounding. Some treatments are useful for providing you with a personal insight and other treatments will clear all surface stress, body and head tension and will help you relax. SHEN is particularly helpful if you are finding it difficult to deal with fear, anxiety, headaches, post-traumatic stress disorder (PTSD) or chronic pain or bodily upset that cannot be traced to physical or biological causes. It can also clear emotional blockages created by psychological stress or significant past trauma. By taking care of yourself you are taking care of your relationships, your family and your enjoyment of life. The road to emotional well-being can be the natural way with SHEN Therapy so don’t be afraid to give me or one of the therapists listed a call. The emotions are experienced in four centers: the heart, the solar plexus, the navel area and the root. The practitioner engages these by gently placing his/her paired hands above and below the client’s body so as to match the flow of the client’s chi.